Information about ebooks and related types of electronic media, including where to find them and how to read them. Not limited to the near-ubiquitous Kindle! "Uma História Resumida Da Irlanda/Historia Resumida De Irlanda"
As part of the Smashwords Read an Ebook Week, the Irish History Compressed e-book is on offer at half the normal price. Click here to go to the download page. But be quick! The week is almost over. 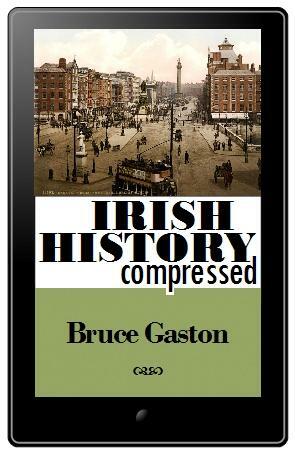 Irish History Compressed ebook available everywhere!